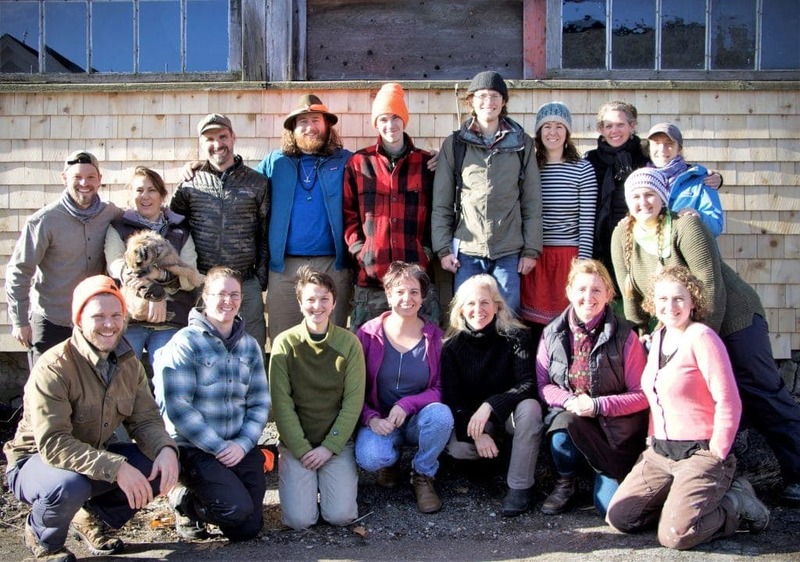 Looking for meaningful work in the field of nature connection? We call ourselves “Pineys.” Our team is made up of directors, admin & field staff who are entrusted with the awesome responsibility of creating personalized, high-quality, adventures in nature-connection for kids, teens and adults. We take that responsibility seriously….and we have fun doing so. Service-Minded: You’ve Gotta Like Humans. We value people who are truly helpful to others (in thought & action), who put empathy & respect before judgement & blame, who can safely manage risk in varied conditions, and who can deliver good customer service to the wide range of people who come our way. Mentors with Heart: You’ve Gotta Show Up Fully. This work is about relationships – creating connections between both nature & people – and connections between people. We value those with a clear mind & a big heart. You can’t check your heart or mind at the door every day. Embodied Wildness: You’ve Gotta Be Wildness at times. The mouse who is blind-with-rage or self-pitying is soon dinner for the invisible stoat. We value life-affirming people here – a blend of buzzing vitality, contagious curiousity & disarming inner peace. Creative, Risk-Taking Collaborators: You’ve Gotta Be Willing To Take Chances. We’ve all got different mojo (thank goodness). We value a team with a diversity of gifts & talents to inspire, excite, and open the minds of those we work with. Piney Goals + Unique You = Superpowers. Integrity & Maturity Required: You’ve Gotta Be Responsible for Yourself (you’re momma don’t work here). We value folks who show up on time, look presentable, & have good hygiene; who work hard and communicate responsibly; who follow-through & value doing the right thing over being right. We take our work seriously while enjoying the wild ride. Work-in-Progress: You’ve Gotta Be Willing to Stretch Yourself. No one is perfect, and we value folks who challenge their “edges,” comfort zones, and personal blocks; who forgive themselves & treat others respectfully; who approach situations with honesty & humility. This all takes courage, vulnerability and a commitment to professional growth via honest feedback. Pineys are wicked curious, dynamic humans. Pineys possess a thirst for knowledge & personal growth. We value humor, playfulness & deep connection in our lives. We have been known to geek out with field guides, create epic adventures & humbly serve our community with little whining. Executive Director – we’re excited to announce the search for a dynamic and experienced Executive Director to lead our organization into a new stage of growth and opportunity delivering exceptional nature connection programming for all ages. Click here for the full job description.